Meal planning. You either love it, or you dread it. The thing is, it’s a necessary evil if we want to avoid the drive-thru every night. And so, we moms pull out our cookbooks each week and try to figure out what to feed our family. But what if meal planning didn’t have to take so much time and energy? What if we had a tool that enabled us to meal plan for our week in under five minutes? If you’re a mom who struggles with meal planning, you’re going to want to watch today’s video. 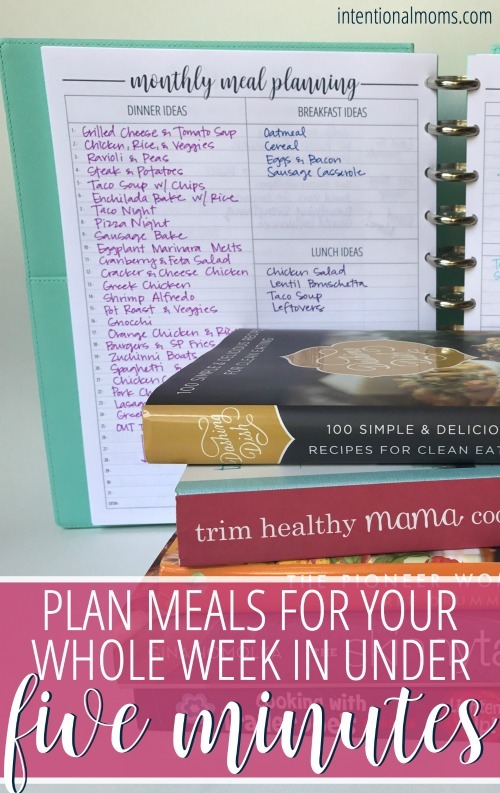 In it, I’ll show you how I use my Organized Life Planner to do all of my meal planning in five short minutes a week! Click here to subscribe to the new Intentional Moms YouTube Channel, where I share tips for using your planner, getting organized, and making time for what matters most! 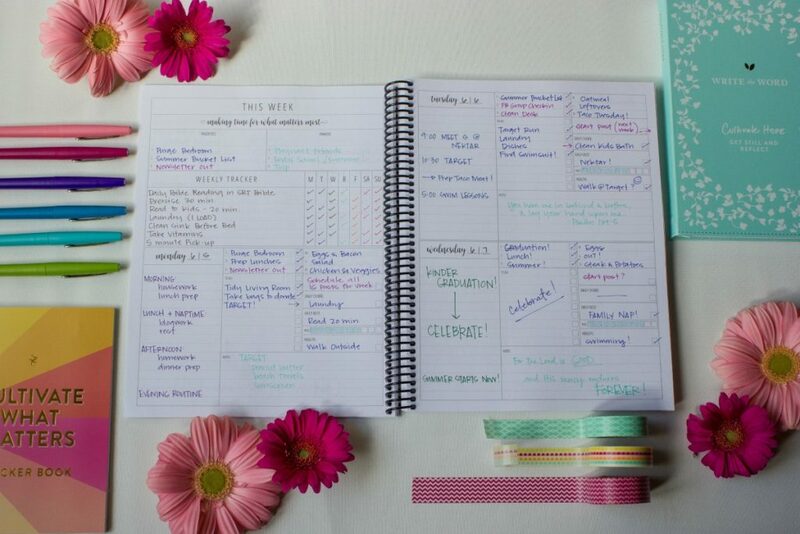 Do you use your planner to help you meal plan each week? Share in the comments below! 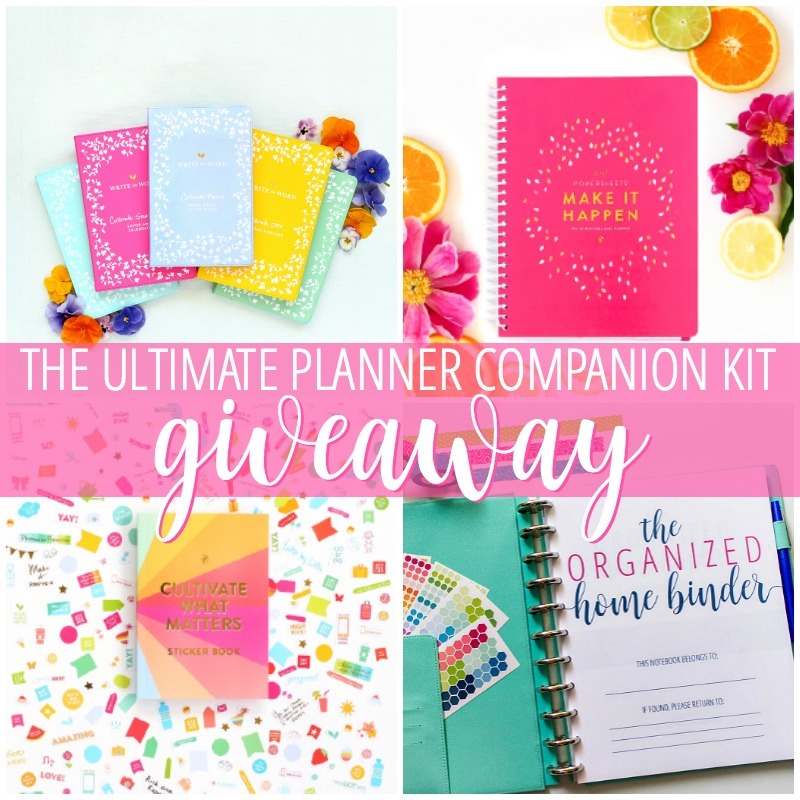 Grab your Organized Life Planner this week and get the June Bonus Pack for free!! And don’t miss this week’s GIVEAWAY!! Enter to win here. I am lucky if I can plan on an hour. Love this! How much and where to order? I’m an organized person but meal planning has been my weak spot for literally years. I love the idea of meal planning but…you’ve guessed it…it just never seems to happen. But you make it seem so simple, I’ve got no excuses now. I’m going to go check out the Organized Life Planner. The full-sized planner would be great! The space is great!